I figure this is probably one that everybody knows and has been curious about, so it makes an appropriate first post. I adapted this recipe with some minor changes from Sandra Lee of the Food Network. I normally can't stand the woman but I have to give her kudos to for this one... 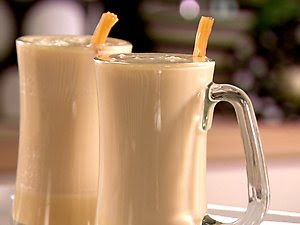 I came across approximately 42 billion different recipes for Butterbeer but I liked this one best. Perfect for the holidays! 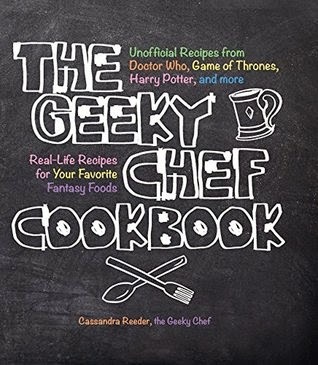 Edit: For my own superior recipe, buy The Geeky Chef Cookbook! You won't regret it. Combine evaporated milk, butterscotch topping, and butter in a glass heatproof measuring cup. Heat in microwave for 1 minute. Remove and stir until butter has melted and incorporated into mixture. Meanwhile heat cream soda in another heatproof measuring cup for 1 minute 30 seconds. Divide butterscotch mixture between 2 (10 to 12-ounce) mugs. Fill mugs with heated cream soda and stir thoroughly. Serve garnished with a cinnamon stick or an old-fashioned butterscotch candy stick. Wow, so that is butterbeer? Sounds really sweet. I think I would die if I drank that!! Sweet memories of Harry Potter though. I'm not fond of Sandra Lee either but for some strange reason, I often watch her show. Maybe just to see how ridiculous her recipe is. She once showed how to make chili dogs with hot dogs and canned chili. Like you really need a recipe for that! That beverage sounds divine! GREAT for holiday parties. This is SUCH a great idea for a blog! I'm so excited for it to get cold so I can make me some butterbeer! I live in Texas, so it probably won't get cold... ever... but oh well. 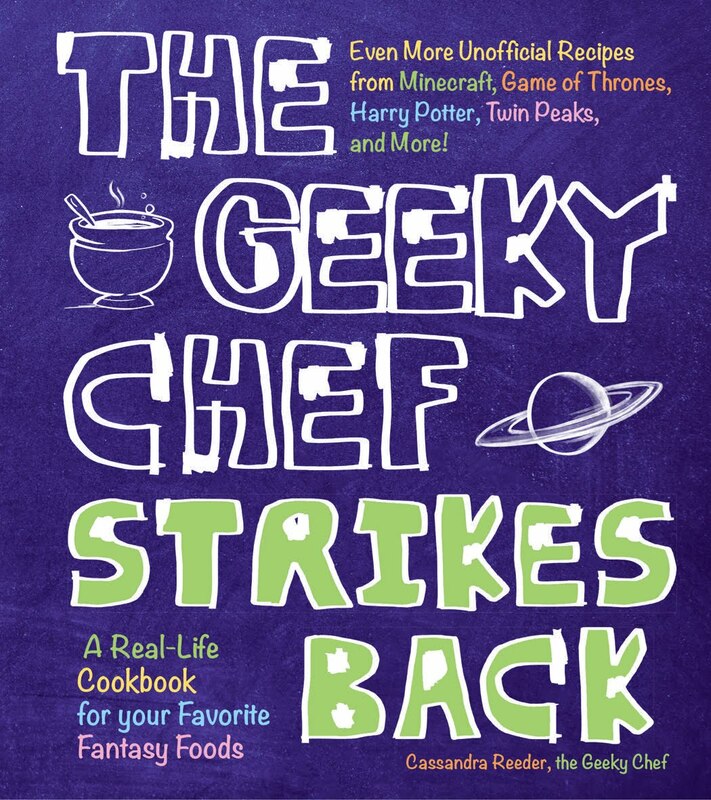 From one geek to another, keep up the good work! Actually, buttered beer is a real drink, as are buttered rum and buttered cider. :D I've only ever made the latter, but holy hell did it taste good. Just make sure you don't overdo the butter and you're good (you'll feel sick if you add too much, ergh...). Not sure if buttered beer is what Rowling was thinking of when she wrote the series, but it wouldn't be horrible to try, though you may need to experiment with what type of beer you use. Is there anything to replace the butterscotch topping? Mm, sounds GREAT! =D I can't wait to try it- though do you have to use unsweetened condensed milk? What's the difference, just the strength of the flavor? My hp fanatic friends made delicious butterbeer- and it was extremely simple. Just get Vanilla Cream soda, shake it 'til it's relatively flat (beer is only slightly carbonated.) Secondly, add Butterscotch Schnapps. It's AWESOME. It's alcoholic, and it tastes very buttery. It's mild enough to be called a beer. TA-DA! I must try the Butterscotch Schnapps version. It sounds perfect. We realize that kids drink butter beer...so it wouldn't be an alcoholic drink...just cuz its say beer...so does that mean you think you'll get drunk off root beer too? On an end- note, water wasn't always potable, so kids would have, in fact, been drinking alcoholic drinks (watered wine, small beers). in some parts of the world they still do. That absolutely right. I am a fanatic of the harry potter series as well and I have been studying history for the last 8 years. Children were allowed alcoholic beverages. Usually a light beere or ale and sometimes wine. It has only been within the last 100 plus year that children didn't consume alcohol until they were of age. In some countries it is as early as 13 if not earlier. If you think about the world of harry potter, the wizarding world disconected themselves from muggles and hid a way. Many wouldn't know of muggle advancements in thinking and in technology. So to them, it is still perfectly ok to give a kid a light beere or ale. Besides. Butter Beere to begin with is cooked and most of the alcohol is burned off. I believe its in the third book that Hermione gets a little tipsy off of Butterbeer (although this could be in the 6th book?) either way, I distinctly remember her being tipsy and so I've always assumed butterbeer was alcoholic but with only a low alcohol content. Yeah, the butterbeer in the HP books actually is alcoholic, although only mildly so. It's enough to get small creature like house elves drunk, but not so much that it really has any effect on humans. Link exсhangе is nothіng elѕe except it іs just plаcіng the other person's webpage link on your page at proper place and other person will also do same in support of you. Used this recipe for a Yule ball I was having for my high school's Harry potter club and everyone loved it! Thanks so much for sharing this. Erm... I tried looking for unsweetened condensed milk at the store and was told they only had unsweetened evaporated milk. When I looked at Sandra Lee's original recipe, it said "sweetened condensed milk," so you might wanna change that. FYI, my nerd daughter's nerd boyfriend spotted Butterscotch Beer at our local heath food coop. It is made by the Flying Cauldron. A bit pricey but all natural and very delicious. Addictive really. Easier than making your own and comes in a beer bottle decorated in keeping with the HP theme. Highly recommend their product. I just made this and it's delicious. It tastes exactly like what I imagined they were drinking in the books.